Having been a passionate, some might say "Obsessive" Equestrian my entire life I was always conscious of how important the right saddle is to promote optimum performance for both horse and rider. After many years of experimenting with loads of different brands of saddles I came across a Harry Dabbs "Jaguar". It was love at first ride, the range of issues that had been plaguing me disappeared almost instantly. My horse moved better than he ever had before, it was safe to say I was hooked. Since then I have been the proud owner of many Harry Dabbs saddles and am constantly amazed at how little known the Harry Dabbs brand is in Australia. This is despite the unmatched quality of the saddles, from the fine stitching to the superb quality of the english leather and not to mention the difference I KNOW they make to both horse and rider. It is my great pleasure to be an agent for Harry Dabbs saddles and I sincerely look forward to assisting you in creating the perfect saddle for you & your best friend. Gwyn is the matriarch of the team. There is not much that she hasn't seen or experienced in her career with horses. 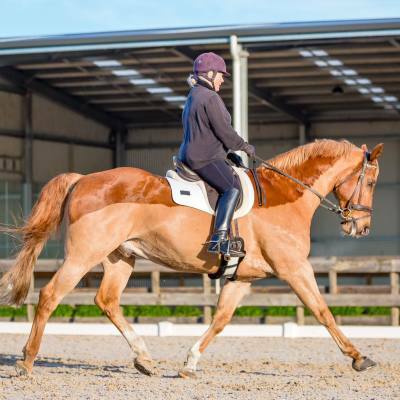 Having been a successful competition rider since she was a child Gwyn has trained and ridden FEI and brings with her the hard won knowledge that can only be gained through life experience. Gwyn is a certified EA Dressage Coach with a dedicated clientel who enjoy the benefits of that knowledge. She has an amazing eye for detail and knows that position is vital in getting the best out of horse and rider, one of the reasons why she is just as much a fan of the Harry Dabbs saddles as the rest us having noticed a distinct improvement in rider postion and willingness and movement in the horses when the correct saddle is fitted. At 19 years old, Ethan is the young 'whipper snapper' here at OCED. Ethan's start to riding began a bit later than most, having not sat on a horse until the age of 15. 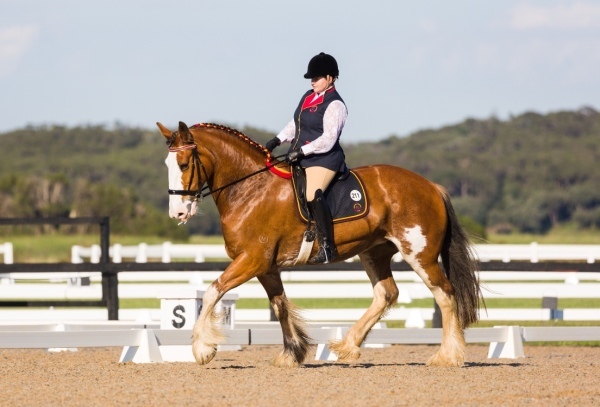 Ethan fell in love with horses hard and fast and quickly developed a passion for everything dressage. Ethan fell into OCED by chance. Whilst searching for a saddle to suit him, a taller rider, and his horse who was constantly at the chiro with back issues. Ethan came in contact with Nicki. He visited for what he thought would be a quick look around. It's now nearly been two years and he still hasn't left. He began lessons with Gwyn and had his very own Harry Dabbs Saddle ordered within a month. This was november 2015, and his horse has not needed to visit the chiro since. Ethan is an extremely passionate and dedicated rider and is aiming to ride Grand Prix dressage, hopefully in the not too distant future. 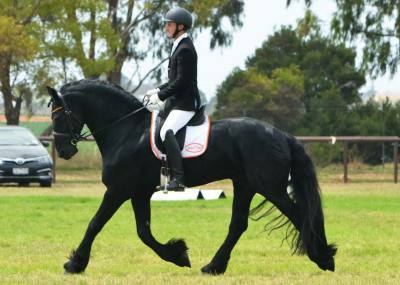 When he is not riding, he is studying to become a Veterinarian and CSU Wagga Wagga with a interest in horses. Ethan also works part time starting young horses, and bringing in out of work horses aross Gippsland. He aspires to one day use his veterinary education to assist him on the path to becoming a successful saddle fitter. Due to his university comittments Ethan spends much of his time in NSW and therefore acts as our NSW rep to assist all of you new-south-welsh-men/women with all of your Harry Dabbs needs! Our team are all dedicated experienced horse riders with a passion for equine welfare. We believe in ethical business practices and will not stoop to bullying or pressure selling. We believe that our saddles speak for themselves.